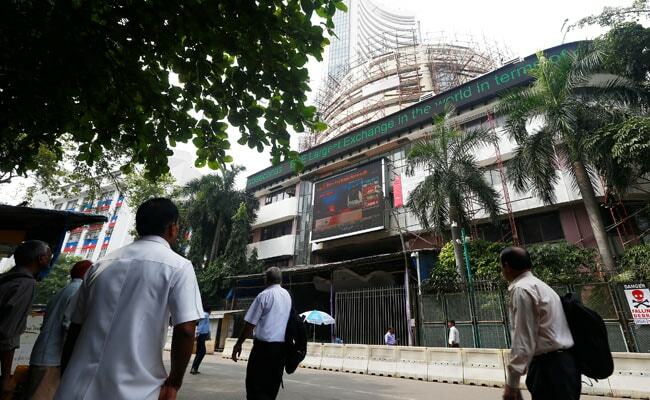 The S&P BSE Sensex fell 0.3 per cent at 12:28 pm, erasing previous gains of as much as 0.7 per cent. At present, profits from stock investments held for more than 12 months are tax exempt. Prime Minister Narendra Modi's government is proposing a long-term capital gains tax for investing in the nation's stocks, according to people with knowledge of the information, news that sent both equities and the rupee lower. The government may tax profits from stock investments held for more than a year, the people said, asking not to be identified as Finance Minister Arun Jaitley's budget speech is underway in parliament. At present, profits from stock investments held for more than 12 months are tax exempt. The S&P BSE Sensex fell 0.3 per cent at 12:28 p.m., erasing previous gains of as much as 0.7 per cent. The rupee weakened 0.3 per cent to 63.80 per dollar. Analysts say a move by the government to reimpose the long-term capital gains tax that was scrapped 14 years ago could upend the euphoria that's lifted Indian equities to multiple records this year and affect flows from individual investors, who've flocked to mutual fund since Modi swept into power in 2014. The Sensex soared 28 per cent in 2017, beating the S&P 500's 19 percent advance, as domestic funds bought a record $19 billion of shares -- more than double the inflow from overseas. Modi's move in 2016 to scrap high-value currency bills helped accelerate the shift to financial assets, taking the sheen off gold and property.